Weight 1/4 oz. 5/16 oz. The WildEye® Live series is the most realistic series of baits available. The WildEye® Live series is the most realistic series of baits available. Internally weighted body creates an incredibly life-like swimming. 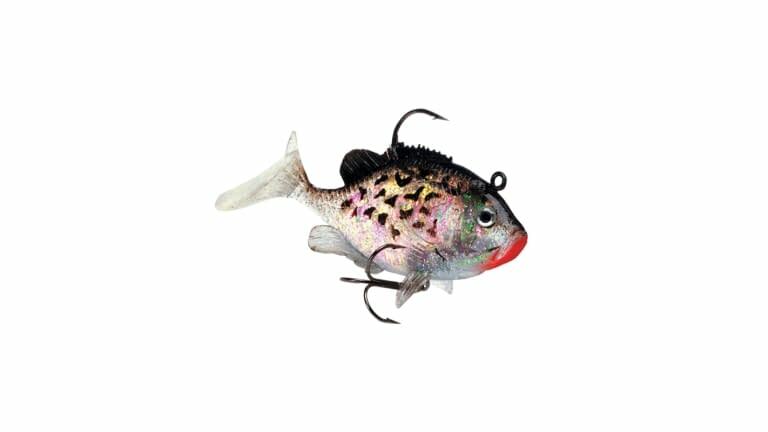 The realistic color patterns and shape of the bait is backed up with 3-D holographic WildEye®, holographic swimmin flash foil and a tough yet soft outer body. 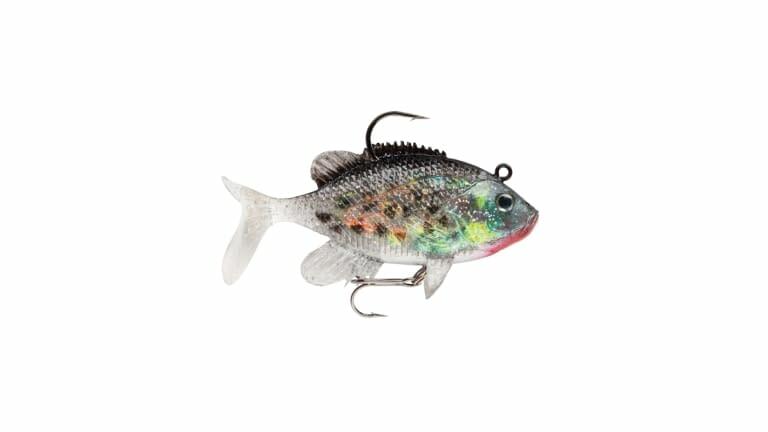 This swimbait has a crappie body and color pattern and a back VMC® needle point hook and a treble belly hook.